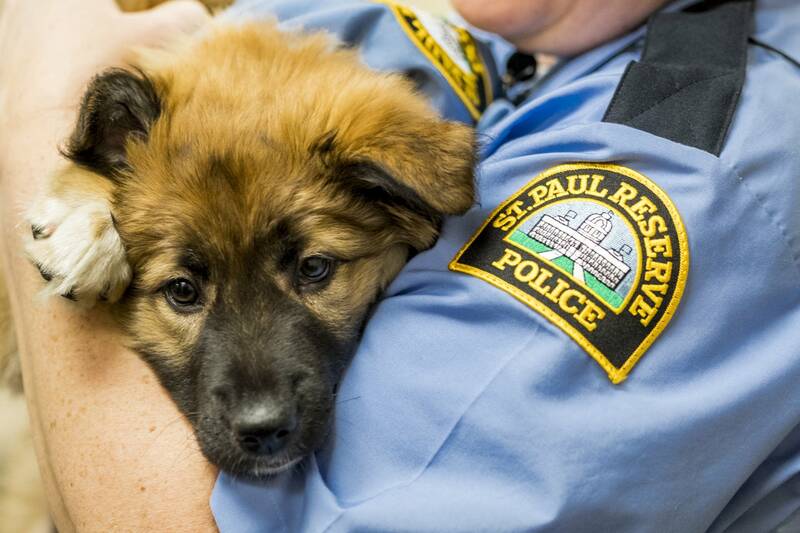 St. Paul's newest police officer lives a pretty ruff life. 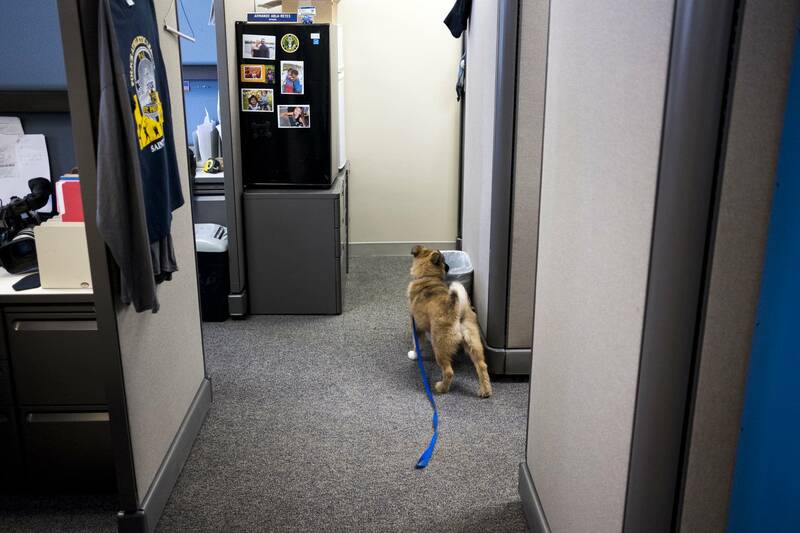 A few times a week he roams the halls of department headquarters, looking for someone to shower with love and affection, and maybe — just maybe — get someone to scratch behind his ears. Meeting new people and getting them to smile is his thing. In fact, he's so good at cheering people up that he's already been promoted — just a month into the job. Is there anything Sgt. Fuzz can't do? Well, he's not potty trained — yet. But cut him some slack. He is only 3 months old. 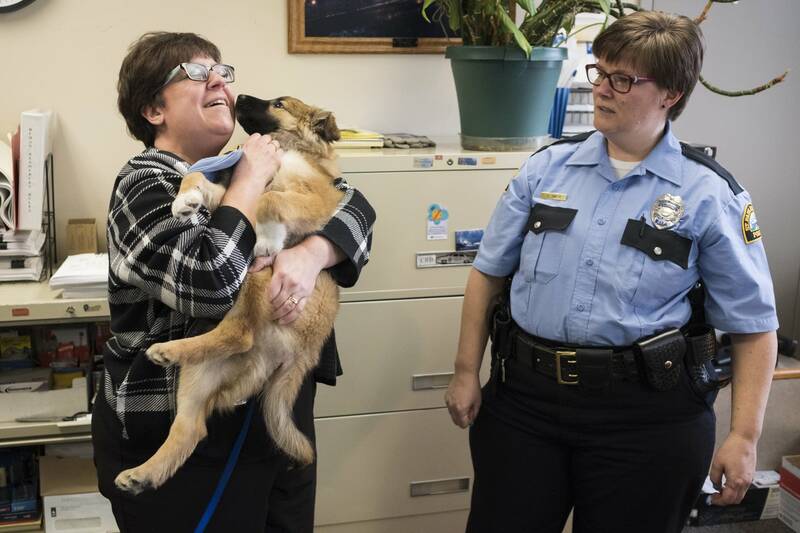 A few weeks ago, the German shepherd mix joined the Police Department as its first ever comfort dog. That's much different than being a K-9, which are dogs specifically trained to assist officers on the the job. Instead, Sgt. 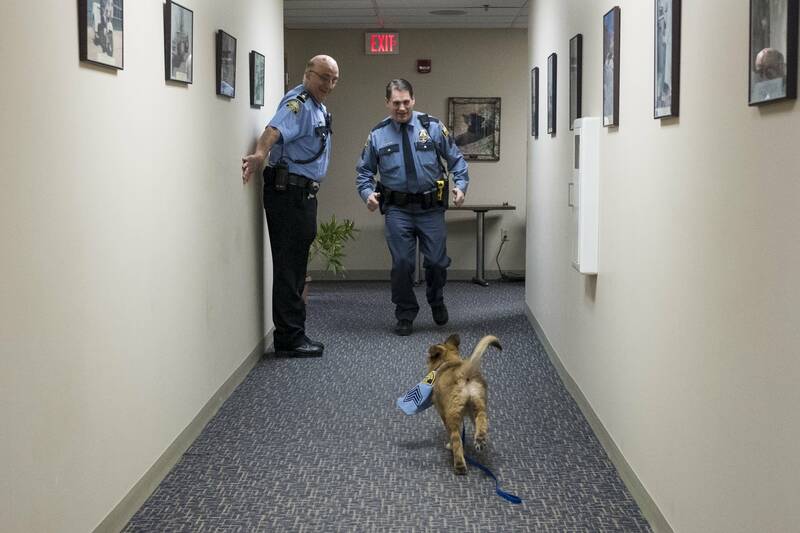 Fuzz's role is to provide a calming presence and be a welcome distraction for officers and Police Department employees. Eventually, the plan is to train and certify the former rescue dog as a therapy dog. "We believe that in any professional, high-stress environment, you gotta take a few minutes to step away from that computer, step away from that report and pet something," said senior Cmdr. John Lozoya. Research supports the idea that dogs are beneficial for heart health and for lowering blood pressure. Sgt. Fuzz will also act as an ambassador of sorts for the police department, doing community outreach during events like Safe Summer Nights, and meeting with various youth groups from the neighborhood. If Fuzz is a hit, more comfort dogs could join him on the police force. Maybe by then he'll be a commander. But first, he'll have to master potty training.